Isn't it great when you're looking at old family photos and you find notes written on the back that describe what's in the photo? 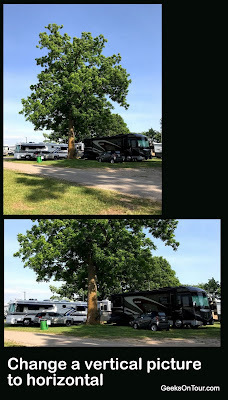 Did you know that you can do the same thing with Google Photos? When viewing photos on a computer, click the i to open the Info panel and you'll see a field called Description where you can write whatever you want. On a mobile device, just swipe up on the photo to reveal the info panel. Google Photos is not a social network, or is it? 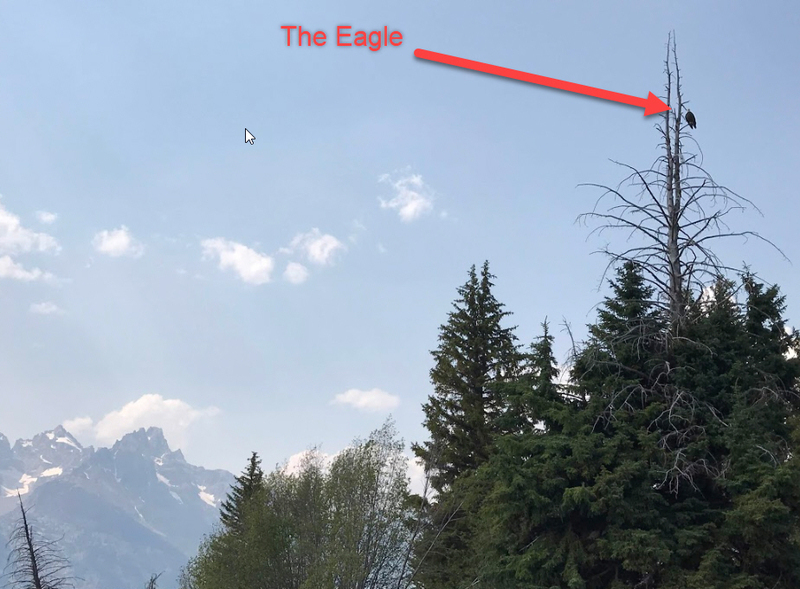 I recently read an article by Mike Elgan about how he plans to use a Google Photos album to keep in touch with friends and family instead of Facebook. He calls it How I replaced Facebook with Nicebook. "Nicebook" is the name he gave to his Photo album that he invites anyone to look at and comment on. 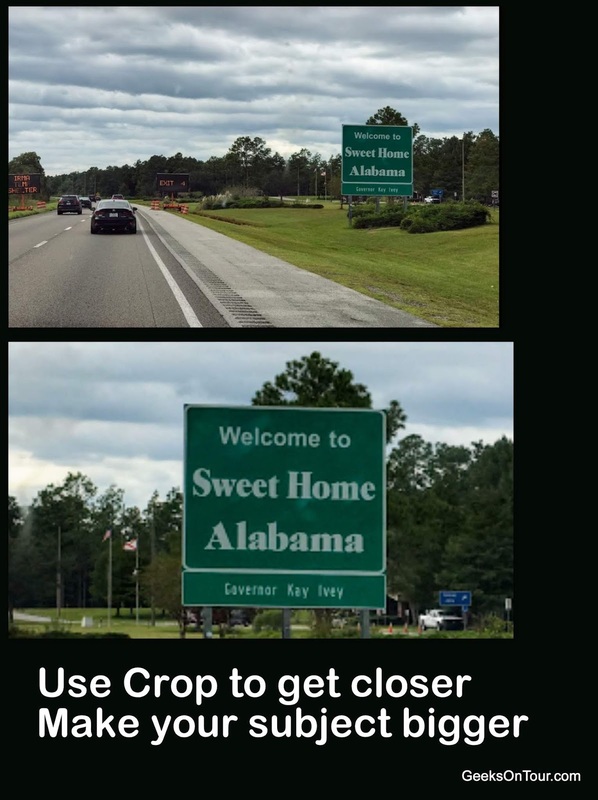 Interesting, but I don't think it's going to work. You know I love Google Photos, and I definitely use albums to organize my photos. I make an album for every month as a matter of course. This allows me to easily browse thru my photos from any given time and remember where I was and what I was doing. I put links to these albums on a public blog page so anyone can see them if they like, but I do it for me. Really, does anyone else care about my pictures like I do? They got notified any time we added new photos to the album, which was daily. This way they were following along, in almost real time. They could comment on any photo, or the album as a whole, and we could comment back. This provided a conversation with our followers. Anyone can view the album and all the photos and videos contained in the album. Only if you have a Google account and are signed in can you "join" the album. 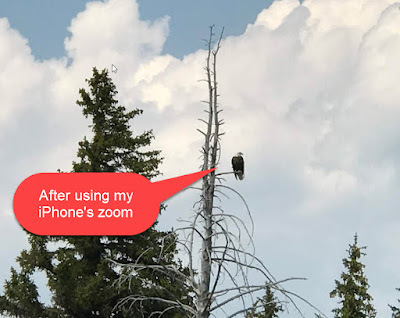 Then it will show up in your Google Photos app in the Sharing section. This month, Jim and I are headed off to Australia and then New Zealand and, once again, we will share the album in advance so anyone can follow along. It worked great in 2017 and I expect it to work great in 2019. We will be connected, photo by photo, with anyone who is interested. They can comment to us and we can comment back without involving any other social network besides our own photo album. Realize that I am not talking about a group shared album. It's called "collaboration" when you set up an album where several people can contribute photos and videos to the album. This is great for weddings, or sports events, or group trips, where one person creates the album and invites the others in the group to add their photos as well. When you use this feature, you don't want just anyone to get hold of the link. If hundreds, or thousands of people have the link - they are all able to add their photos and videos. I've known people to test this, and it doesn't take long before you have some very undesirable content in the album. Then it becomes an unwelcome job to monitor the album and block the offending users. I see my shared album as a one-to-many communication tool, where the "one" is me and my photo album and the "many" is all the people who click the link to view it, and perhaps to join it. Facebook is so much more than that. Facebook is many-to-many. I use Facebook because so many of my friends are there. In just a few minutes each day, I can catch up with my friends and see what is going on with them. I may not even post anything about myself. A shared album can't do that. Besides, how would I let people know about the shared album if it weren't for Facebook! That's where I post the link where all of my friends will see it. The shared album means I can post less on Facebook. An occasional photo will do, along with the link to the album for anyone who wants to see more. 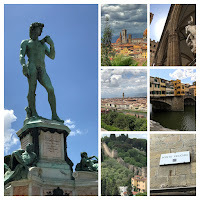 I applaud Mike Elgan for thinking outside the box with Google Photos, and I joined his album so I can follow along. But I can't give up Facebook yet. What about you? photos by moving your mouse to the right sidebar. These dates represent the date the photo was taken. When you use Google Photos to store your pictures, they are organized in one great big stream, by date the photo was taken. The most recent photo is on the top, as you scroll down you're going back in time. On a mobile device you can pinch the screen until you see your photos grouped by year and month. A friend of mine just uploaded a group of old photos from her computer to Google Photos. When she opened Google Photos, she expected to see those photos at the top. When they weren't there, she assumed she had done something wrong and not uploaded them correctly. She tried it again - still no photos. What she didn't realize is that these old photos got organized into her "stream" according to the date they were taken. She had no idea what dates these photos were taken, so she had no way to find them! 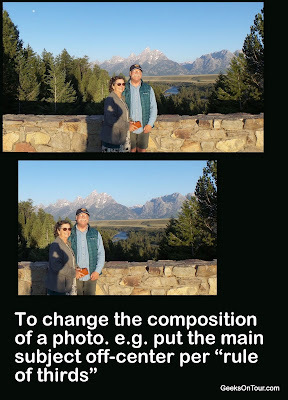 How to change the order to "Date Uploaded"
Google Photos does not give us many tools to re-order photos. Albums are generally our only tool for customizing how photos are grouped. But, there is a way to just view your library in order of Date-Uploaded rather than Date-taken. 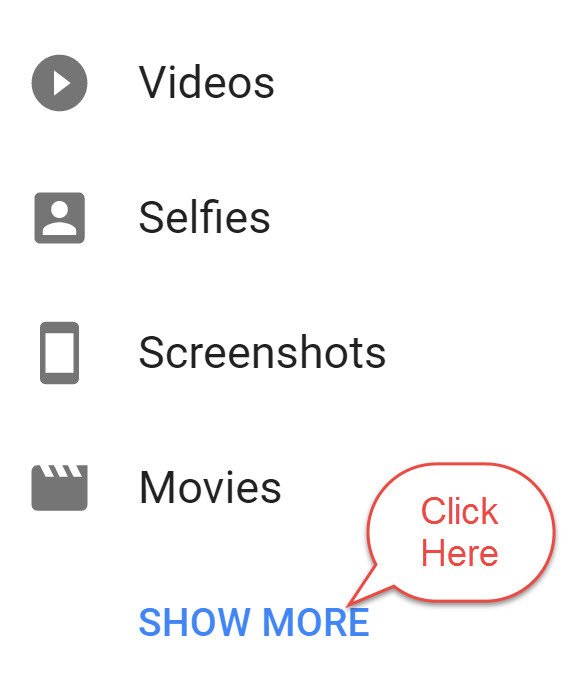 Scroll down to the section that includes Videos, Selfies, Screenshots - click "Show More"
On mobile apps this option does not show up. I have no idea why. 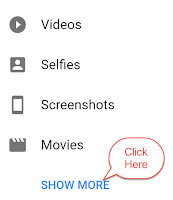 The search bar is there, when you click on it you see Videos, Selfies, Screenshots and "Show More," but when you click Show More you will not see Recently Added!?!?! Where there's a will, there's a way! 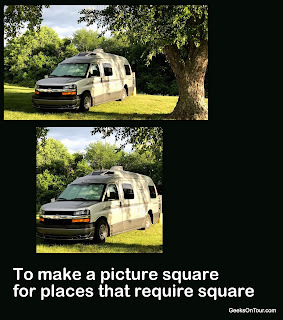 On your mobile device, instead of using the Google Photos app, open a browser and go to Photos.Google.com - just like you would on a computer. Now you will be seeing the same thing you do on a computer - including the Show More with Recently Added. If you have the book, this feature is covered in Chapter 5: Explore and Organize. The section is called "View by Date Uploaded."